Wise words from his father inspired Chad Dickie to become a determined advocate for patient-centred care. Chad says that his father instilled in him the importance of giving back to his community and beyond. By turning that advice into real change, Chad has made a difference for dozens of health care initiatives. Chad is a member of the Fort Nelson First Nation and lives with a chronic disease. While being a patient gives him one perspective, he is also a caregiver. His position at the intersection of these identities informs the way he contributes to improving quality of care across BC. Chad didn’t decide to become a patient partner because he felt he had all the answers to address the challenges the health care system faces. Rather, he knew his lived experience and curiosity could be put to good use. He uses his personal journey through the health care system to highlight challenges that are faced by many as well as share the value of the services he has received. 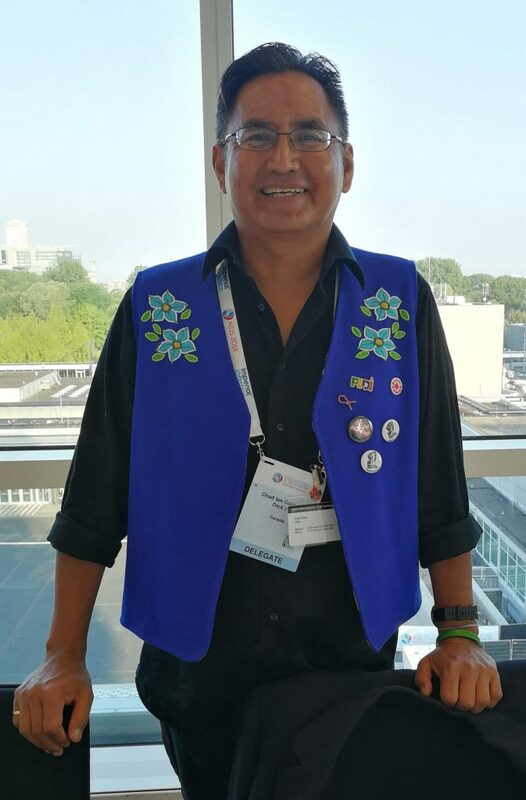 Among some of his many accomplishments since signing up as a volunteer with the Patient Voices Network, he became the first Indigenous chair of AVI Health & Community Services (formerly AIDS Vancouver Island), where he helped open a clinic for opioid substitution therapy treatment in an underserved area. With another engagement opportunity, he helped lead the PrioRitiEs For Research (PREFeR) project, which identifies patient-generated priorities for primary care research. Chad was also instrumental in co-designing the Patient Advisor Led Site Environmental Assessments project at Island Health and gave a rousing speech at their Leader’s Forum last year that reminded participants of the importance of the patient voice. In all his volunteering, Chad brings valuable insights into the structural racism and stigma experienced by Indigenous peoples, people living with HIV, and people with a history of substance use and mental health challenges. By sharing his knowledge with health care providers, Chad helps them develop a more sympathetic understanding of the human condition. While the health care professionals that he works with always have glowing things to say about him, his fellow patient partners speak highly of him too. One who has worked alongside Chad on a project said this: “Chad believes in working from within the health system to make it a little easier for the next person who comes along, whoever that might be.” If his work so far is any indication, Chad’s efforts to advance the patient voice will extend far into the future.